Whether it’s a girl’s weekend, wedding or corporate event, Key West is the perfect getaway for groups of all sizes. 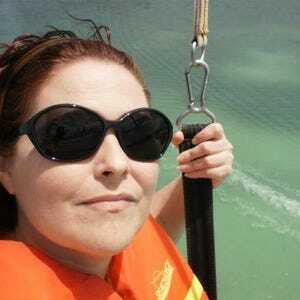 In the laid back Florida Keys, everyone can slip out of their formal wear and into sandals and shades. Funky outdoor venues like Blue Heaven with its roaming roosters and Hogfish Grill with its wooden picnic tables are the antithesis of any banquet hall. Tropical temps year round makes it easy to plan events at waterfront locales like Hot Tin Roof--known for its stellar sunset views. 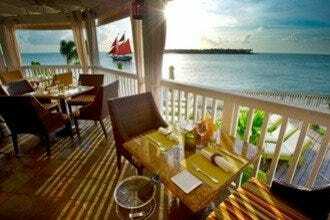 At Latitudes on Sunset Key, you can even dine with your toes in the sand on the private island under swaying palms. Fresh-from-the-boat local seafood makes any menu spectacular with Key West pink shrimp, Florida lobster, grouper and hogfish. 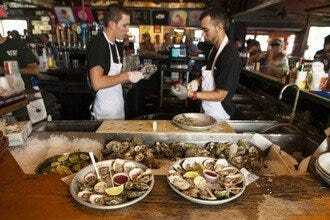 A popular old-school seafood destination is A&B Lobster House, which dates back to 1947. Latin influences abound at eateries like El Meson De Pepe where buffets overflow with savory Cuban dishes like roast pork, plantains and flan. Refreshing mojitos replace champagne for those special toasts. Island-infused European tapas can be found the intimate Santiago’s Bodega or the larger Nine One Five. Ensconced in a restored two-story Victorian home, Nine One Five's revelers can linger on the wraparound porches overlooking Duval Street. 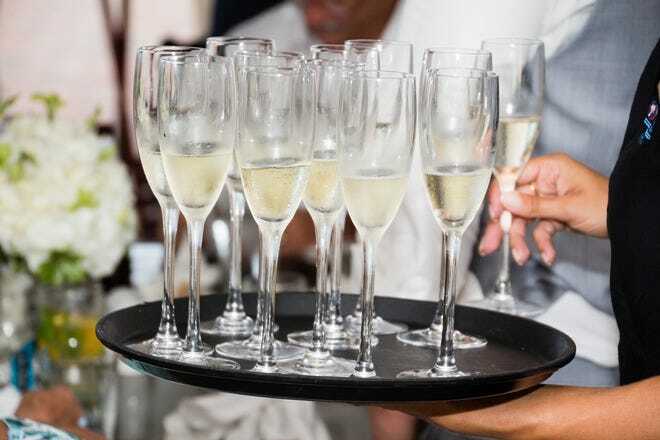 Hire a steel drum player or a salsa band for added ambience, and your Key West soiree is a guaranteed hit at these group friendly restaurants. A colorful walk through Bahama Village brings you to this warm and cozy restaurant tucked away behind lovely landscaping. At some restaurants, "tapas" equals painfully small plates, but at Santiago's, the portions are generous. You can put together a fun smorgasbord to share with your group at a reasonable price. Your only regret will be not being able to try all of them at once. Standout dishes include the Fresh Yellowfin Ceviche, which is marinated in spicy citrus juice and served with fresh avocado, mango and cilantro. Finish with their homemade bread pudding with caramel bourbon sauce. Order several pitchers of their sparkling sangria, and let the fun begin. With island roots that date back as far as 1947, A&B Lobster House is an institution in Key West. This upscale restaurant features rich classics like Lobster Bisque laced with cognac, Lobster Thermidor or Sunset Surf and Turf or filet mignon. For something on the lighter side, their savory Bouillabaisse simmers jumbo shrimp, clams, mussels the local catch in a saffron and fennel broth. With fantastic views of the Key West Bight, they can host small dinner parties to larger soirees. The restaurant can accommodate up to 150 inside and 250 when including their wrap-around balcony. Their elegant white tablecloth dining experience does come with a rather hefty price tag, but that makes A&B prime for that special occasion. Perfect for large families, this casual American restaurant is a favorite for generous portions, reasonable prices and the best burgers in town. 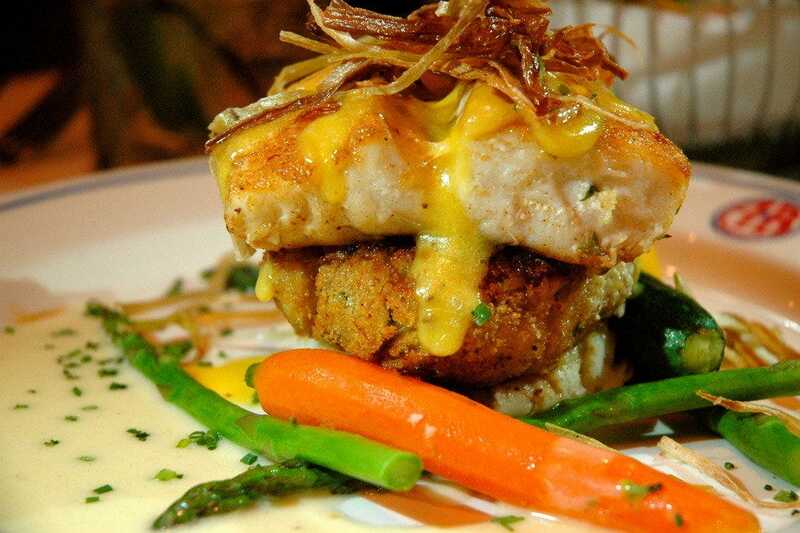 Popular with tourists and locals alike, Caroline's has a prime view of Duval Street and abundant outdoor seating. 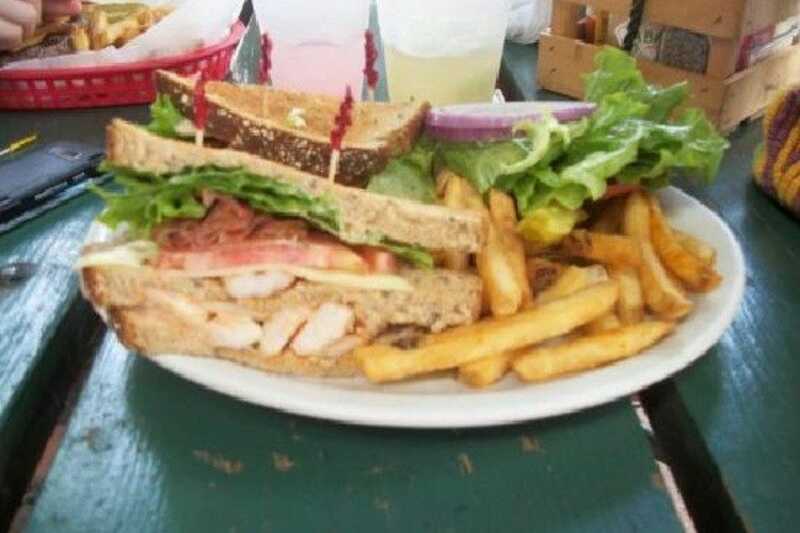 Savory standouts on the menu include the shrimp and bacon club sandwich, shrimp po' boy, jambalaya and jerk chicken. 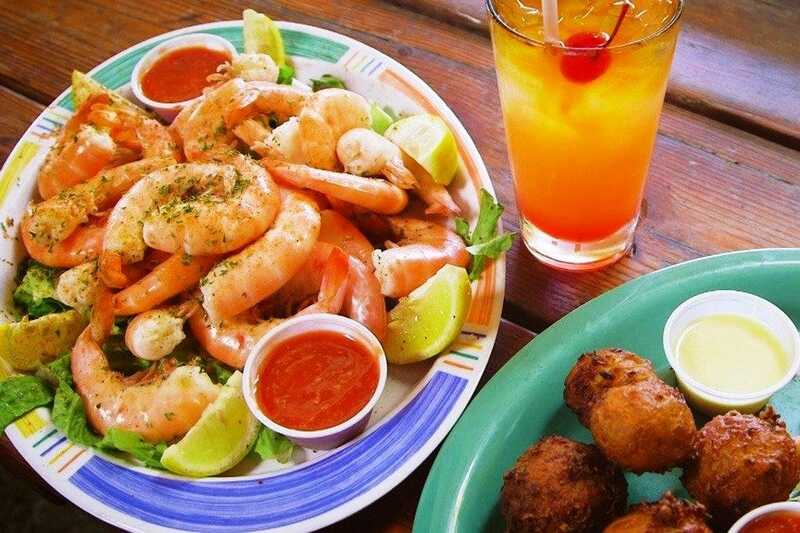 If you just want a light bite, appetizers include conch fritters, dolphin fingers, fried shrimp and more. There's usually a crowd (and sometimes a wait), but the staff is friendly and efficient. Watch for Abby the rooster, who serves as a welcoming committee. In Key West, this restaurant needs little introduction. The private courtyard (once home to Hemingway's boxing matches) is filled with roaming chickens and lounging cats soaking in the sun. Between this shady outdoor garden, indoors in the "tree house" and downstairs dining room, Blue Heaven offers a total of 126 seats for larger groups. Parties will not be disappointed with the Southern and Caribbean menu. Expect jerk chicken sandwiches and shrimp melts for lunch, pork tenderloin and snapper in citrus sauce for dinner, and at breakfast, the lobster Benedict is tops. Their famed Key lime pie with its mile-high meringue has been featured on many a TV show and is country-star Kenny Chesney's favorite. For a taste of a true local's joint just five minutes away from Old Town, follow the signs to the Hogfish Bar and Grill on Stock Island. Ample seating and event menus that feature down-home shrimp boils, make this fish shack a true Key West experience for groups. Smaller parties can order off the menu. Try anything that's made with their namesake specialty like the "Killer" Hogfish Sandwich, which is smothered in Swiss cheese, onions and mushrooms on a fresh Cuban roll. The Hogfish Fingers or Fried Hogfish Tacos are also favorites, or dig into a plate of "Peel 'n' Eat" Key West pink shrimp. 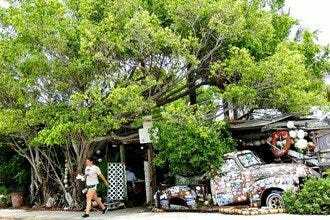 This open-air, casual restaurant is a diamond-in-the-rough, as the owners try to maintain that Old Key West vibe. Views of Key West's last working waterfront are a bonus. 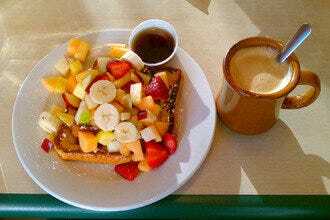 Part bakery, part bistro, Croissants de France serves up a mix of French food with a Caribbean twist. Their garden patio just off Duval Street offers a tranquil setting for groups of five to fifty. 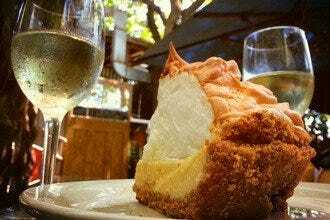 Under the shade of a Spanish lime tree, you can sip on cappuccino or have a mimosa toast made with fresh orange juice. 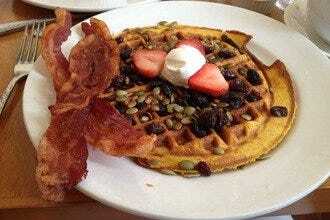 Signature dishes include Cinnamon Brioche French Toast and Seafood Eggs Benedict. Their savory buckwheat crepes are stuffed with surprising fillings like goat cheese, tomatoes, spinach, asparagus, summer squash served with honey on the side. 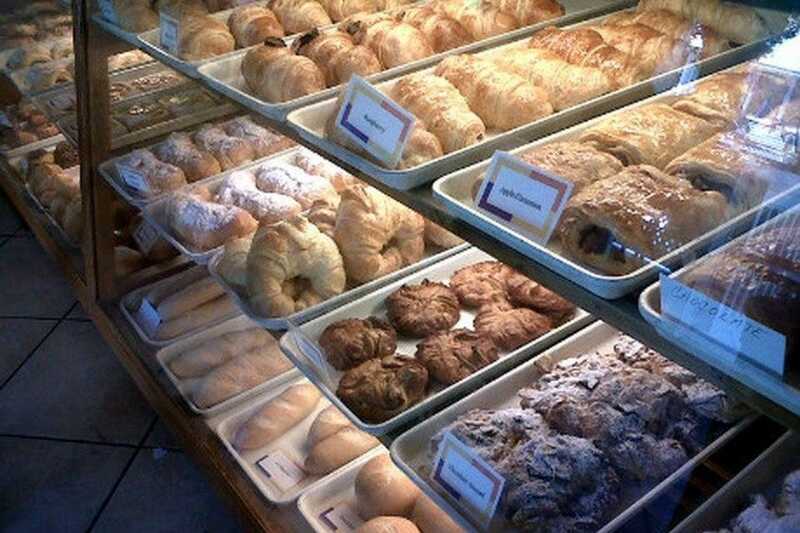 Buttery croissants and delectable pastries are baked fresh each night and are on display in the bakery where it's easy to grab some for the road. They're also open for lunch and dinner, and they deliver. 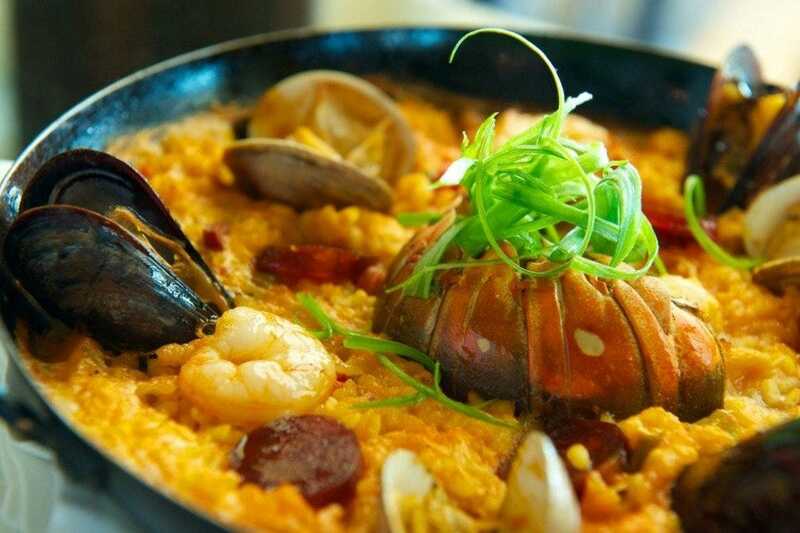 Cuban food is an integral part of Key West's culinary DNA, and El Meson de Pepe serves up authentic dishes in a historic red brick building off of Mallory Square. 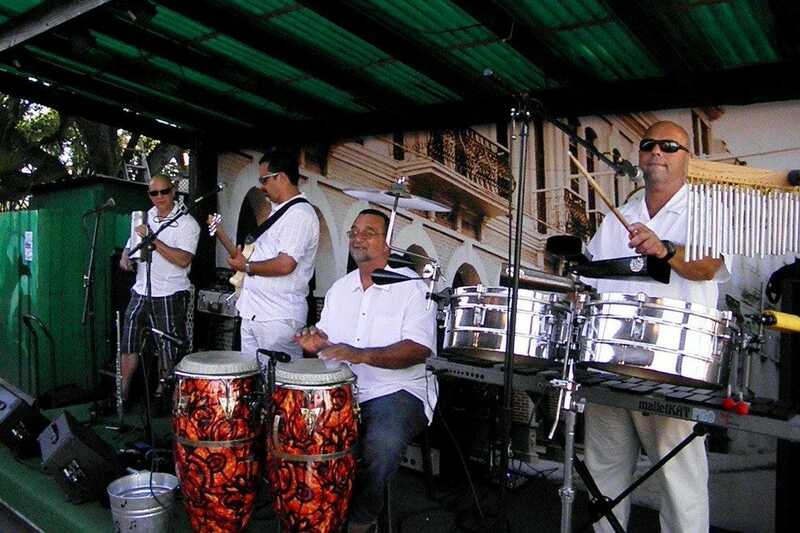 Every night at sunset, the salsa band, Caribe of Key West, creates a festive atmosphere. Groups can choose inside seating on the warmer days, or rent the outdoor garden. 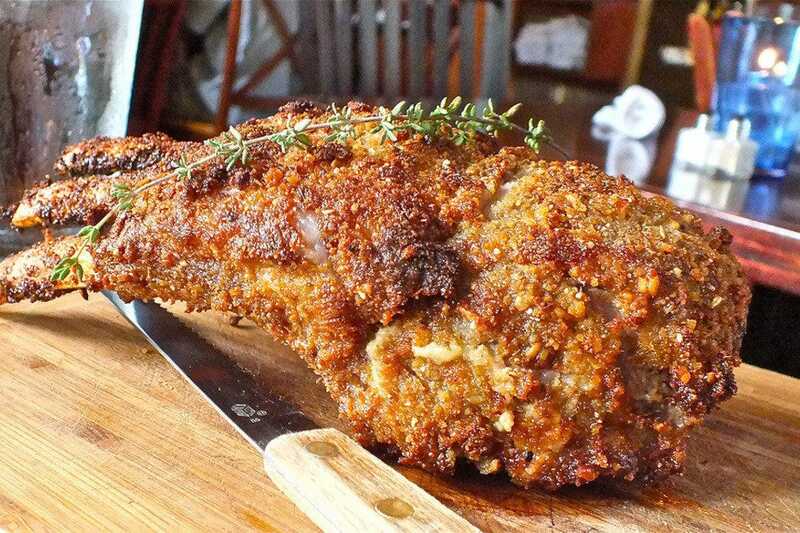 With chickens running across the patio, parties of 30 or more can binge on buffets filled with roast pork, baked garlic chicken, picadillo, ropa vieja, plantains and flan. Propose a toast with one of their signature mojitos, a Cuban cocktail made with fresh mint, lime and rum. 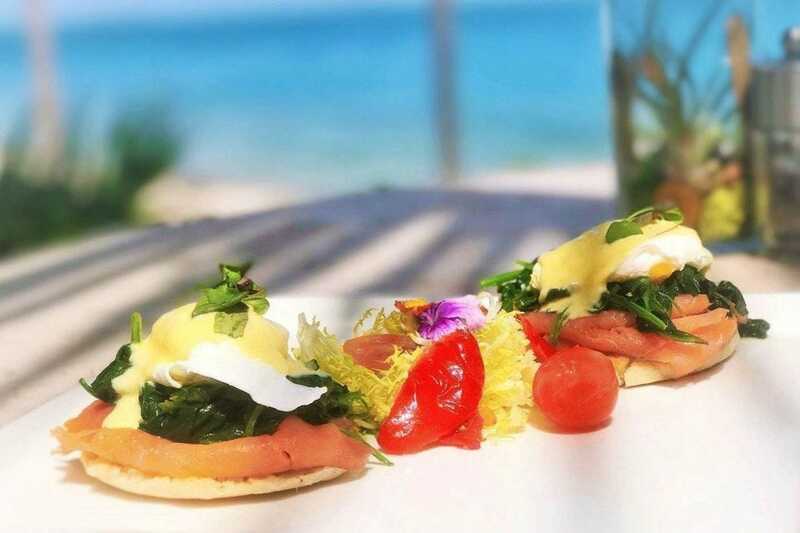 For upscale dining with a stellar view of the sunset, head to Hot Tin Roof at Ocean Key Resort and Spa located just off Mallory Square. You can dine alfresco on their patio with the sounds of Jimmy Buffett classics wafting up from the band on Sunset Pier, as boats ply the aquamarine waters in the harbor. The Pan-Latin menu offers small and large plates, so you can design your own meal, whether shared tapas-style or traditional entrees. Dishes like the Key lime fish ceviche, paella and caramelized grouper capitalize on the fresh local seafood. Finish with their delicious Key lime pie in a cashew graham cracker crust. You'll love the dusting of cinnamon in the shape of a palm tree on the plate. Larger groups can book the entire verandah or the tropically elegant dining room. Ensconced in a historic Victorian house on Duval Street, 915 sports wraparound balconies upstairs and down overlooking Duval Street in Old Town Key West. While smaller groups can easily be accommodated for a sit-down meal, the restaurant's layout is better-suited for cocktail receptions and wine tastings. 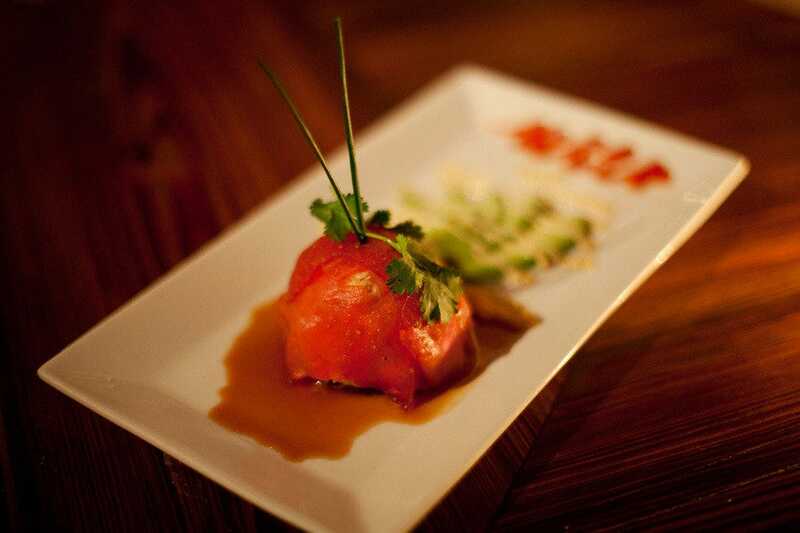 They offer a European fusion menu packed with tapas, which are perfect for passed hors-d'oeuvres. The selection roams the globe from Devils on Horseback (bacon wrapped dates with roasted garlic) to Baked Oysters (with pancetta and spinach). The downstairs area has a small inside dining-room seating 22 and a large outdoor garden area capable of accommodating parties of up to 70. Their POINT5 lounge upstairs has a wine bar, balcony and rear porch under the stars suitable for groups up to 80. Taking the ferry to Latitudes restaurant on Sunset Key feels likes an escape to your own private island. With its upscale toes-in-the-sand ambiance, Gulf views and tiki torches, this venue is the antithesis of any banquet hall. They can cater smaller groups for gatherings like rehearsal dinners or executive board meetings and up to 150 people for larger events. Under the swaying palms dotted with lights, feast on the local seafood artfully prepared by Chef Jerry Crocker. His seasonal menu focuses on island fare with a Caribbean flair with dishes like cumin and coriander dusted snapper paired with leek risotto. Don't miss their savory lobster bisque filled with chunks of the succulent meat and lobster crab cake with chipotle aioli. Make sure you save room for dessert. You'll want to linger on this slice of paradise as long as possible. Reservations required.